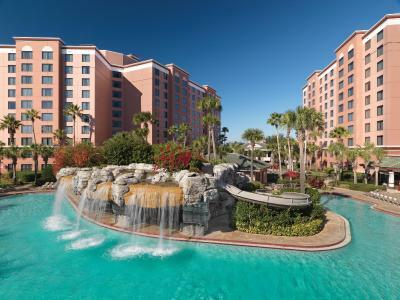 Lock in a great price for Caribe Royale Orlando Near Disney – rated 8.6 by recent guests! We loved the pool and restaurant area, very relaxing for the adults and had fun activities for the kids! They have everything you might need. Turns out our son had grown out of the bathing suits I had packed so we stopped by the gift shop and were able to purchase one on site with sunscreen for a reasonable price. Nice size room. Good location. Nice pool area. Gated parking. Keyed entry to parking and lobby. No hidden fees, paid exactly the quoted price from Booking plus parking as stated. Very convenient to Disney attractions. Staff was excellent and very friendly. Location was perfect. Amenities were awesome. Staff was very friendly and polite. The hotel is beautiful. Can't wait to go back. very close to Disney parks! would like more complimentary 'regular' coffee and sugar! The calypso was great, good food and drinks. Fun night life. Breakfast was great as well. Room service top notch. A great place to stay especially if you're going to Disney. This is my second stay at the property. The room layout is great because the sofa bed is in a separate room from the beds with a door you can close. 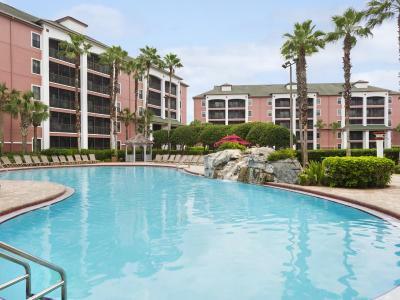 Caribe Royale Orlando Near Disney This rating is a reflection of how the property compares to the industry standard when it comes to price, facilities and services available. It's based on a self-evaluation by the property. Use this rating to help choose your stay! One of our best sellers in Orlando! 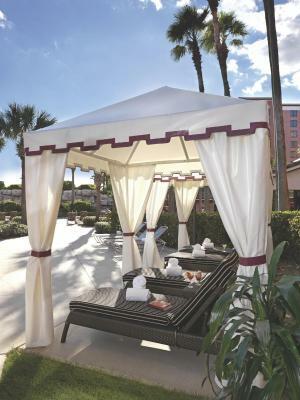 The tropical-style Caribe Royale Orlando resort offers an outdoor pool, hot tub, and fitness center. sport courts, a children's playground, and a game room are available as well as a transfer service to Disney Ticket & Transportation Center (TTC). The property is 2.3 mi from the Walt Disney World Resort. A separate seating area and flat-screen cable TV are featured in all rooms at the Caribe Royale Orlando. 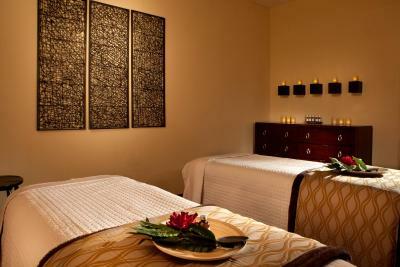 Villas include a fully equipped kitchen, screened patio, and spa bath. All rooms and villas are nonsmoking. 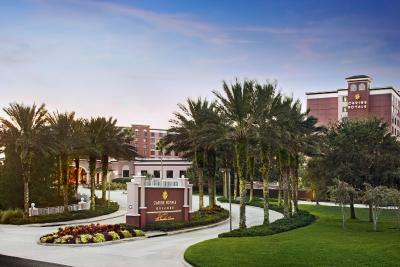 A business center and flexible meeting facilities, which measures approximately 14,000 square yards, are available at the Orlando Caribe Royale. Guests can enjoy free transfer service to nearby shopping, a 75-foot waterslide, and 2 hot tubs. Calypso’s Pool Bar & Grille offers classic American cuisine and a full-service bar by the pool during lunch and dinner. The Venetian Chop House serves contemporary steaks, chops, and seafood paired with a selection of wine. Guests will be 6 mi from Aquatica, SeaWorld's water park, and 11 mi from the Universal Studios Orlando Resort. The Orlando International Airport is 18 mi away. 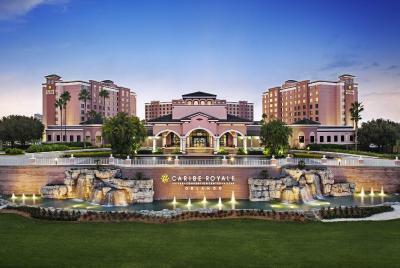 When would you like to stay at Caribe Royale Orlando Near Disney? This suite offers a separate bedroom from the living area. A small refrigerator, microwave, and coffee machine are included. The bathroom has granite counters and a hairdryer. Public parking is available on site (reservation is not possible) and costs USD 10.65 per day. This villa has a fully equipped kitchen, sleeping area with a sofa bed, and 3 flat-screen cable TVs. 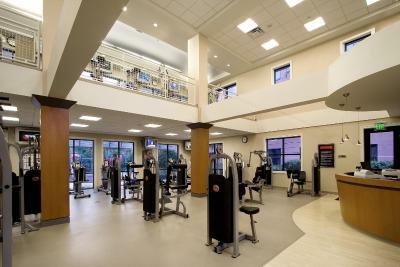 Laundry facilities and a private patio or balcony are also featured. This room features a bathroom with granite counters, a spa bath, and a hairdryer. A small refrigerator, coffee machine, and microwave are included as well as a separate living area with sofa bed. This suite features a microwave, small refrigerator, and coffee machine as well as a separate seating area with a sofa bed. 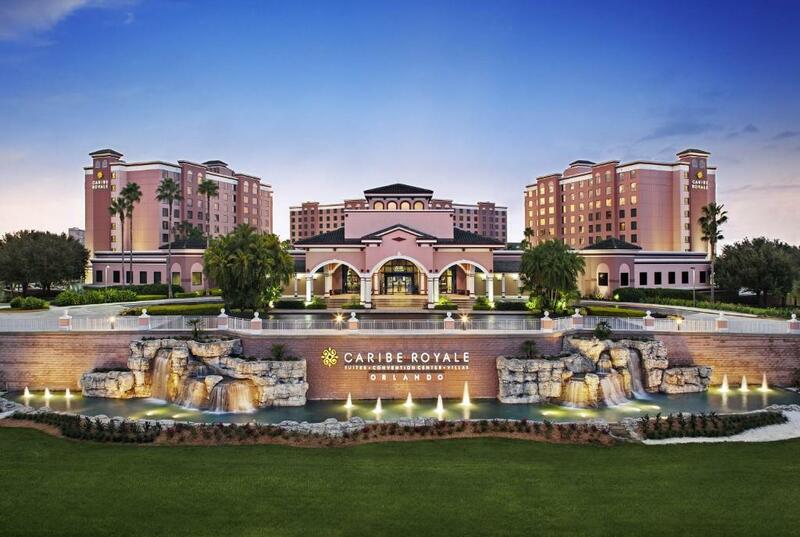 House Rules Caribe Royale Orlando Near Disney takes special requests – add in the next step! 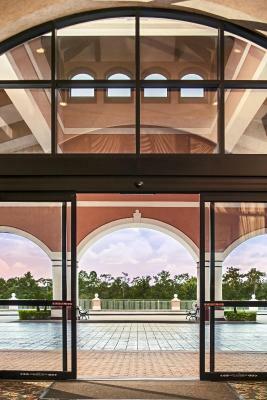 Caribe Royale Orlando Near Disney accepts these cards and reserves the right to temporarily hold an amount prior to arrival. Please note that WiFi is available for up to 2 additional devices for a charge of USD 4.95 per day. Please note that reservations are recommended for the on-site restaurant, The Venetian Chop House. Valet parking is available for USD 15.00 per day inclusive of tax. Older property, a little worn. Hard water has a bad taste and smell, carbon filters would help a lot. I don't like paying to self-park, should be included in fees. No baggage carts. We checked into our first room and opened our refrigerator and at least 7 German cockroaches came crawling out. There were so many they were running each other over and started crawling on the floor. I will never get that vision out of my mind.? The water slide for the kids. We had a room on the seventh floor overlooking the pool and it was extremely noisy beginning at 7 AM with loud thumping music and drill instructors doing water aerobic classes. We would definitely ask for a room in a different location if we stayed here again. Even during the day, the pool was extremely loud with resort music competing with aerobics class music and the instructor shouting commands. Not a place for relaxing and reading a book. Great proximity to all Disney parks. Staff and dinner at the Venetian restaurant were excellent. Room was spacious, comfortable and clean. Appreciate the option of a quiet pool. Bathroom floor and wall had I’m assuming food stains. And we were up late enjoying the night life here, only to be awaken at 7:30AM By loud music at the pool for exercise, instructor was loud and the music was too. Also $50 for a late checkout is crazy to me.